Apex & Dovetail, local companies working together to deliver a full bedroom refurbishment program. 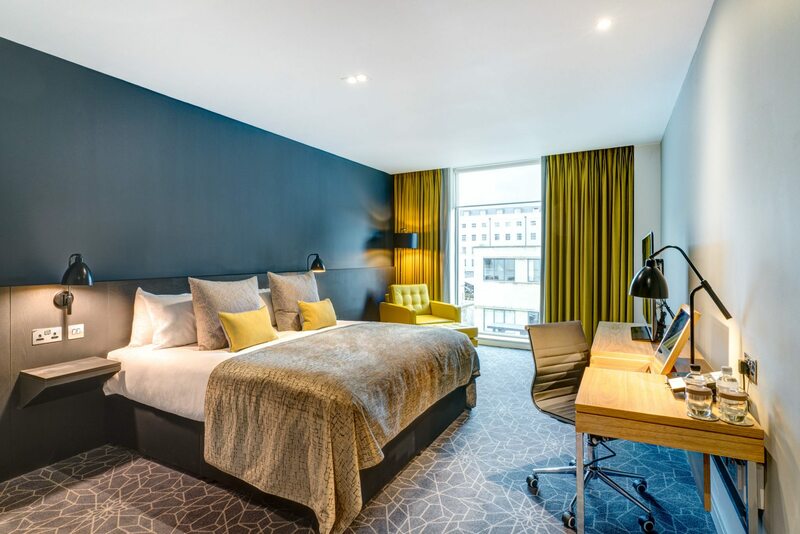 Dovetail was delighted to be awarded the contract for the supply of client own specification furniture for the refurbishment of 320 hotel bedrooms within Apex Grassmarket and Dundee City Quay & Spa Hotels. Along with the manufacture of “case goods”, Dovetail was also appointed by the contractor CLC to manufacture fitted joinery products. Working with the Apex Hotels group on this exciting and high profile project allowed Dovetail to demonstrate, not only that they manufacture furniture to meet the highest of standards and unique requirements of the client but also that they are competitively priced. The design team appointed by the Apex Hotels group had a very clear specification in mind but were receptive to input from Dovetail to achieve the budget without compromising the design inspiration and corporate identity. On-time delivery and the ability to react to the unforeseen, is crucial when undertaking a refurbishment project within an operating hotel. The close working relationship formed on this project between manufacturer, specifier, client and main contractor has been fundamental in achieving on-time delivery and is a real demonstration of seamless team working. As a Supported Business and registered charity, Dovetail are once again proud to demonstrate the important role it has in providing employment and training opportunities for disabled and disadvantaged members of society. The award of this prestigious contract has been significant in assisting Dovetail in achieving its ambitions and employability objectives. See our page Architects, Designers & Specifiers for further details of how we can bring your design ideas to life.